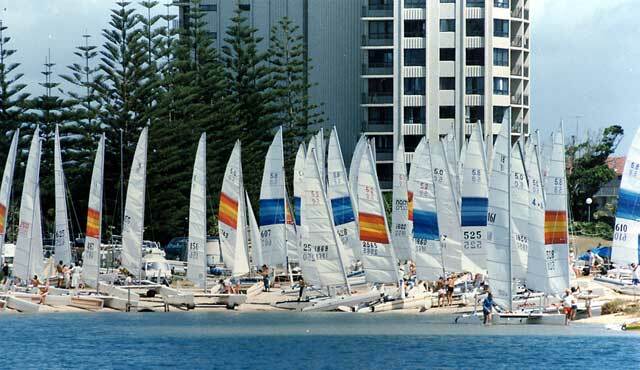 The 32nd Nacra nationals are to be held at Beautiful Port Stephens in New South Wales from 2nd of January to 8th-2011. There is a vast variety of accommodation ranging from camping next to the club to luxury units on the waters edge. Port Stephens provides sheltered waters featuring good seabreezes in the afternoon. Most accommodation is in walking distance of the sailing club. A variety of social events are planned throughout the week. 12 races are planned to be raced with a lay day in the middle of the racing. We are expecting a fleet of 60 plus Nacra’s to attend this regatta. A Notice of race will be posted shortly, we recommend you book accommodation early as is a busy holiday destination.